What is a plan for your 15th birthday? I mean are you ready for the quinceanera? 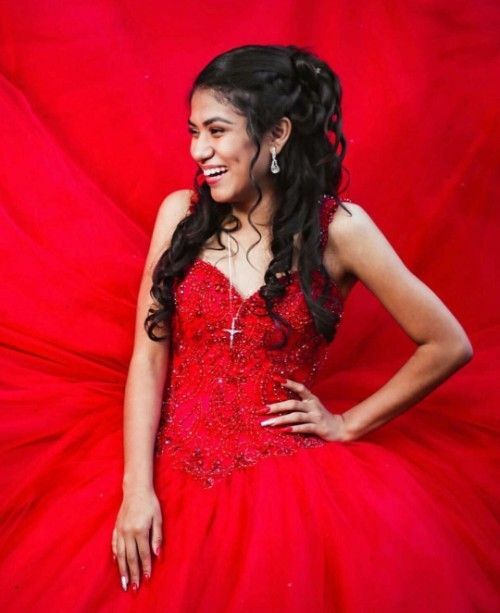 The quinceanera is one of the most important parts of your life just like a wedding. On that day you will be recognized as a woman. So, there should be something to make the festival memorable for you and the guests present at the party. 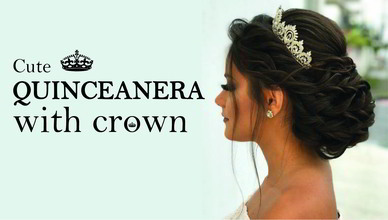 During quinceanera, you will be the prime concern and center of attraction to the whole crowd including your parents. 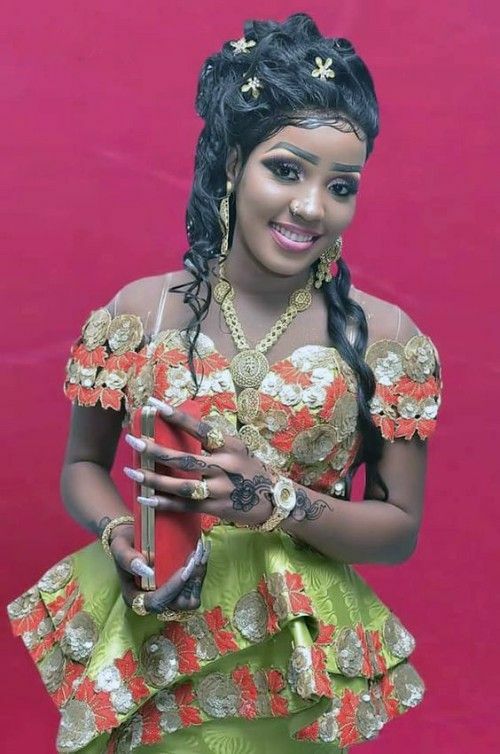 So, you should have a gorgeous dress code as well as an enchanting appearance. 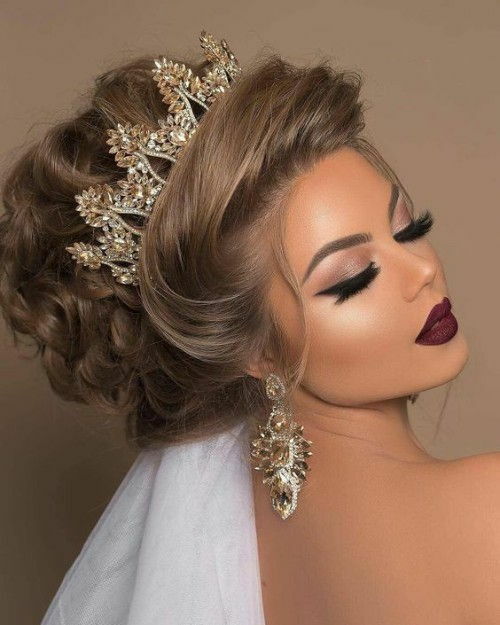 But can you expect a nice appearance without a glamorous hairstyle? Hope not. 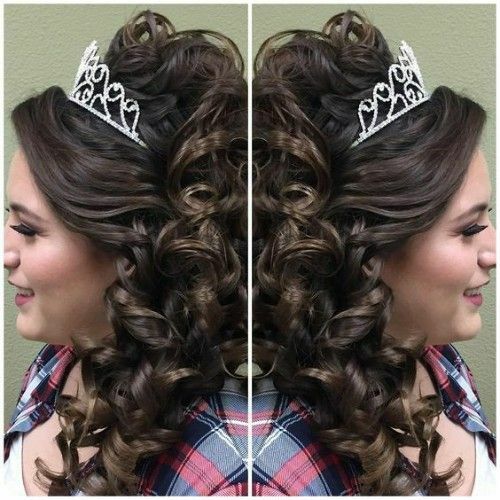 But don’t worry we are here to notify you about the best hairstyles of the quinceanera. 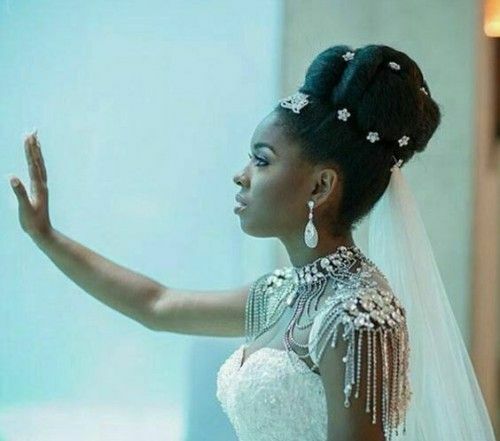 In this article, we are going to discuss the best hairstyles for the African American quinceanera. 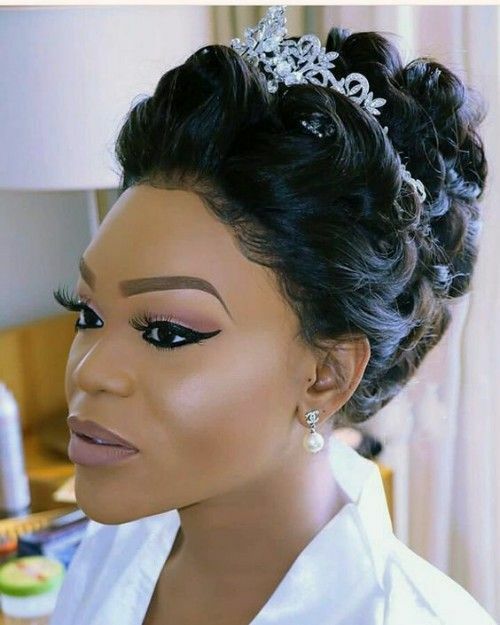 On that day you will need a royal hairstyle as you are going to be welcome to womanhood. 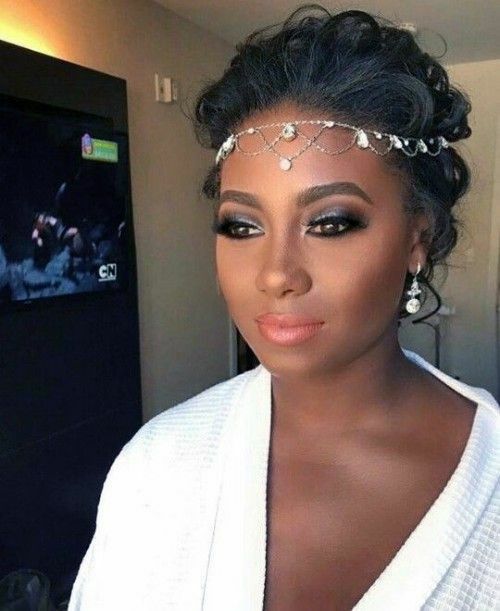 So the ceremony must be memorable and gorgeous. 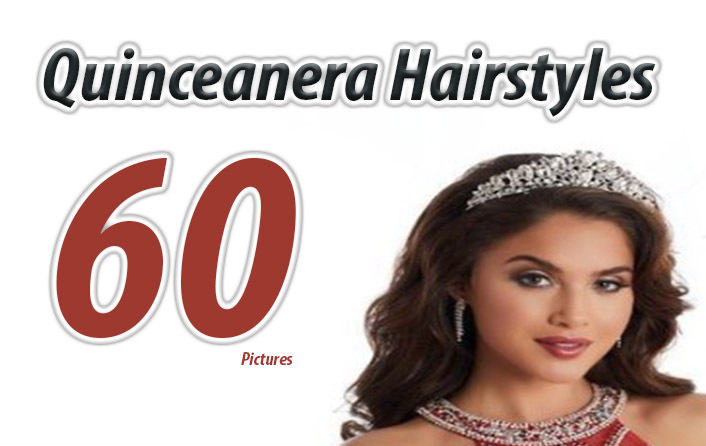 Here, we have brought you best 50 quinceanera hairstyles for you in 9 different categories. You can choose any of the categories and pick the best one from the category. 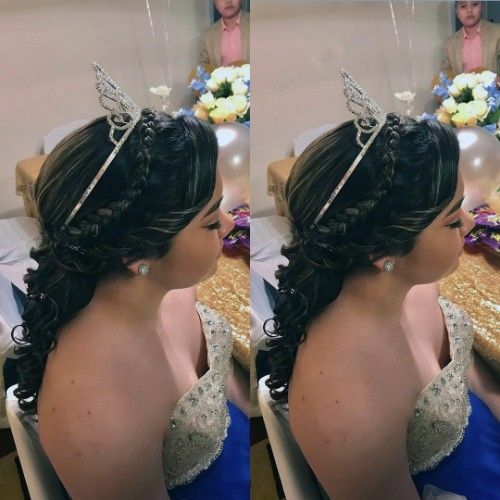 For your information, we have collected the best 5 examples of quinceanera hairstyles for each category. 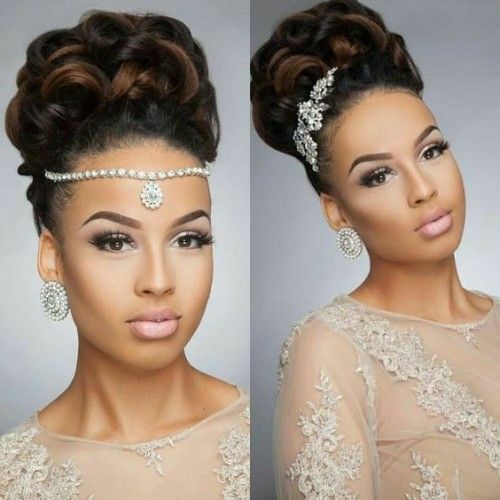 Bun hairstyles are the most popular hairstyles quinceanera. 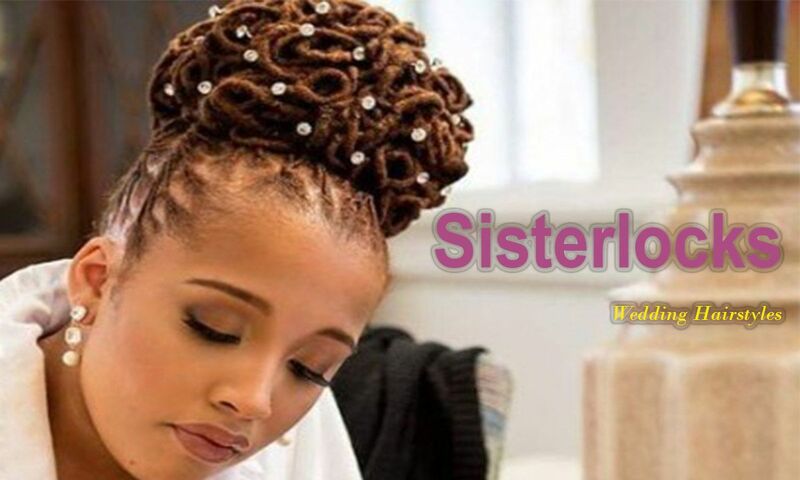 The African American young women are generally seen to use the bun hairstyles for this important event of life. 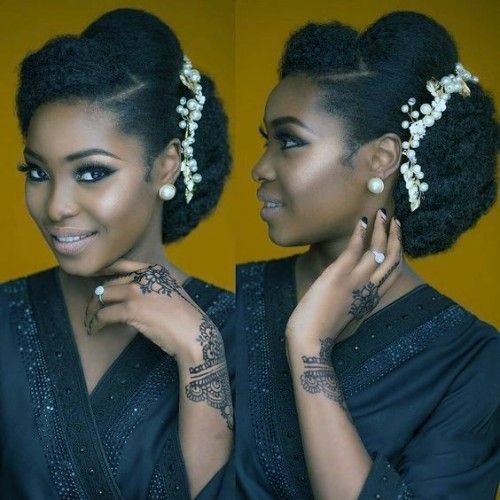 The bun is classic and lovely hairstyle which are used both casually and formally. 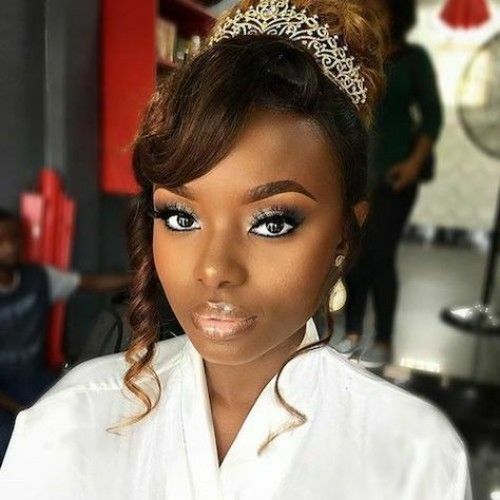 Moreover, there are thousands of modifications and classifications of bun hairstyles which can be used in different types of programs and events. 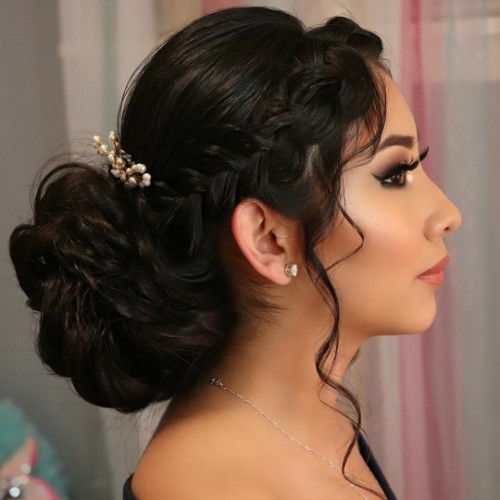 As traditionally, the bun hairstyles are preferred for the quinceanera, we strongly;y suggests you the bun hairstyles below for your quinceanera. 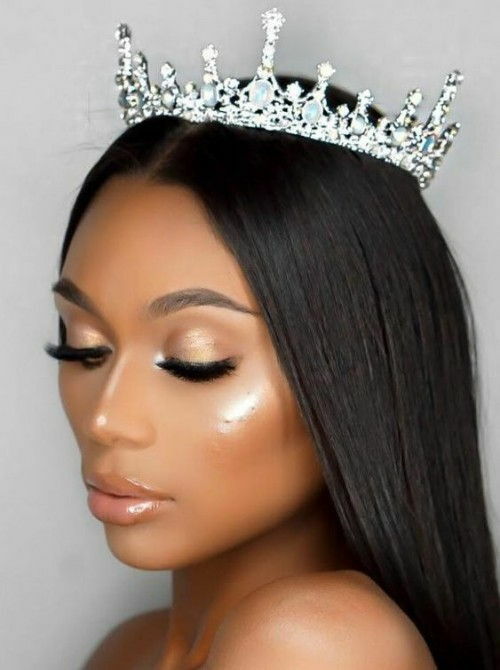 Most of the time, the young black women get confused on whether to chose a crowned or not crowned hairstyle for her quinceanera. Well, you can choose whatever you like. 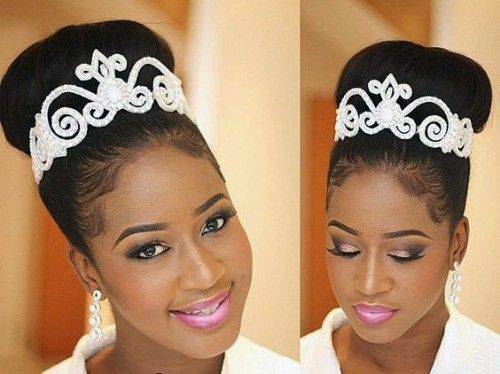 But the crowned hairstyles are traditional, classic and most used hairstyle during quinceanera by the young black women. 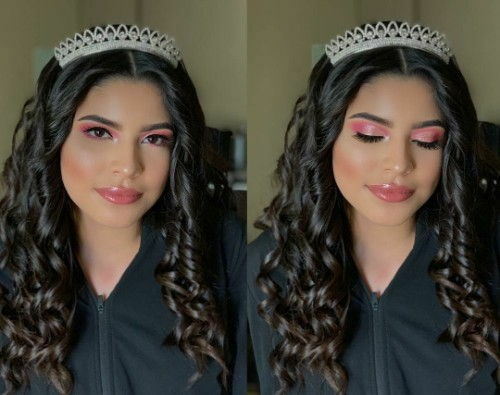 When you want to look like a real queen in your quinceanera, you have this great option available to avail in your quinceanera. There are a number of crown models in the market and you can choose the best one for you. 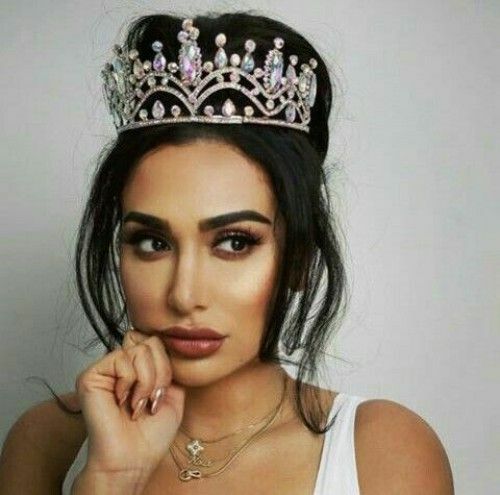 Moreover, the crowns are suitable for almost every type of hairstyle and hair type. 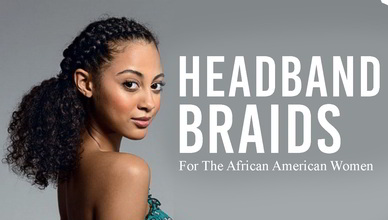 Headband braids are being used widely for black women’s quinceanera in recent times. 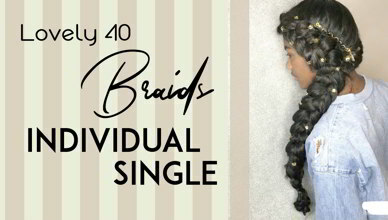 The headband braids are simply braiding hairstyle, where a thick braid is used as a band on the front side of the head. As a result, the braid works as a band on our head. 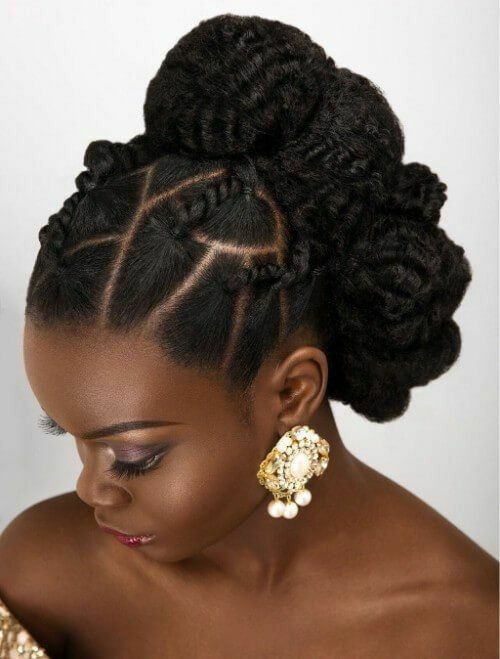 These hairstyles are now quite popular among the African American black young women for their quinceanera. 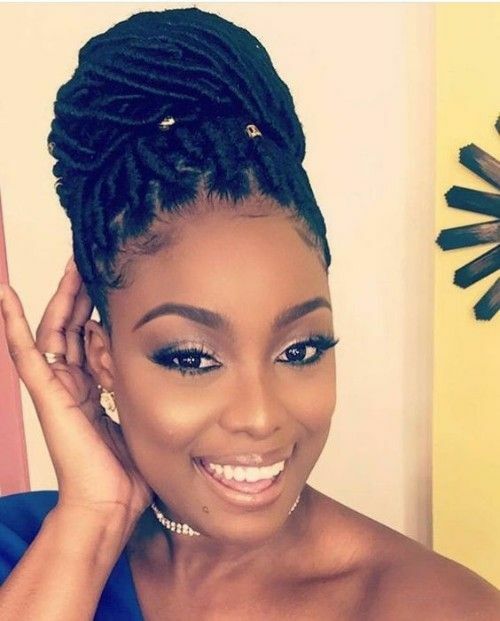 If you love braiding hairstyles and want to have one in your quinceanera, you can pick one of the following hairstyles for looking great during the event. 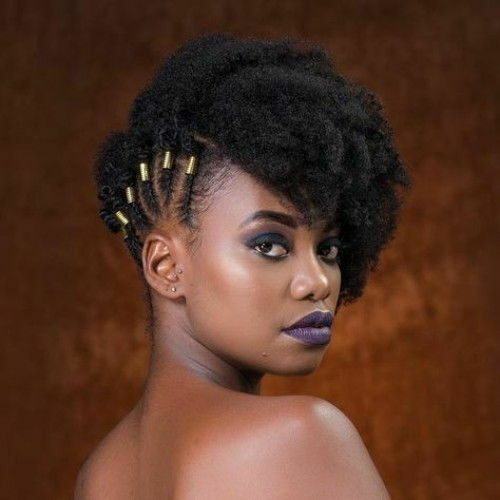 Generally, mohawk hairstyles are wild and crazy. 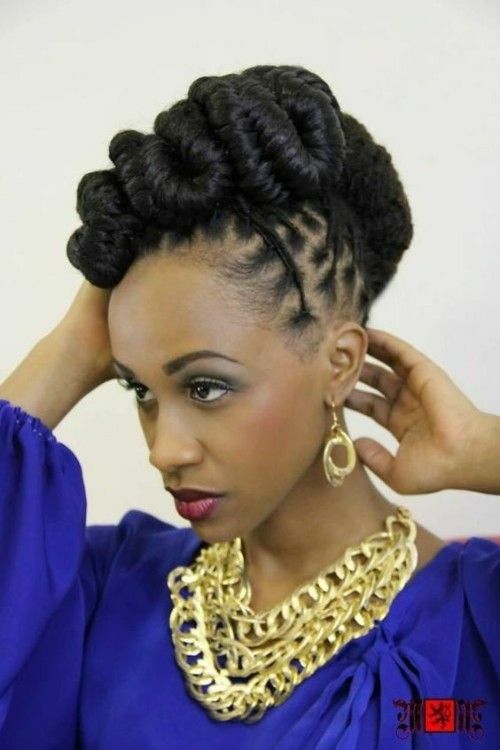 These hairstyles are used as ultra-modern hairstyle too by the women of African American ethnicity. Mostly the Mohawks are informal, but, you can use them in quinceanera too. 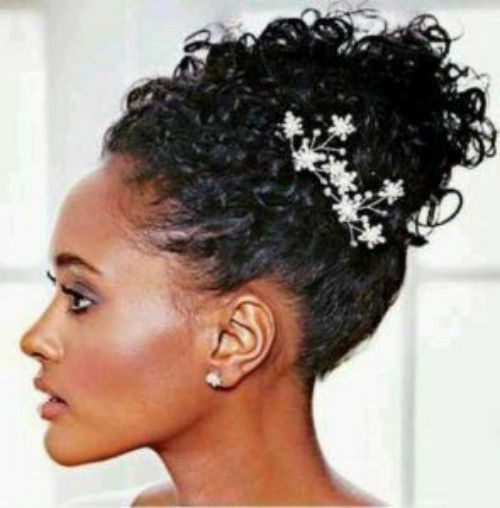 There are some excellent examples of Mohawk hairstyles in quinceanera. We have collected the best ones from them for you. 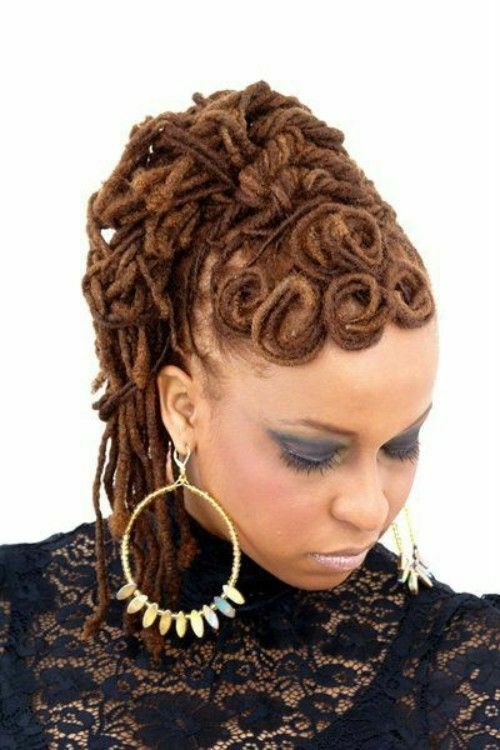 These mohawks are glamorous in look and crazy in effect. 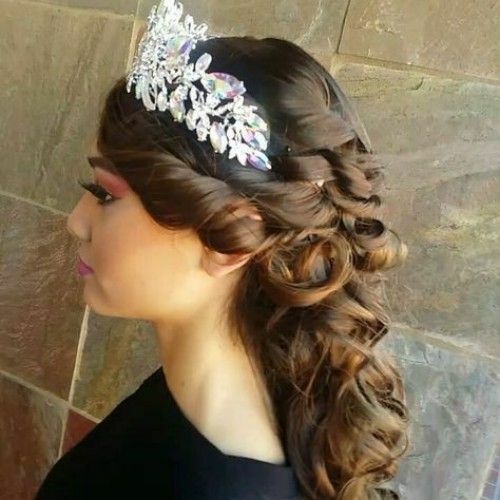 Trust me you will look like a heavenly angel with these mohawks in your quinceanera. 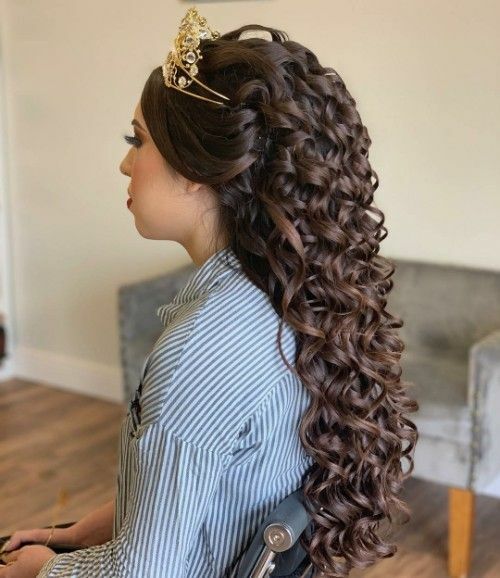 Do you know the use of faux locks in quinceanera? Actually, you should have some idea. 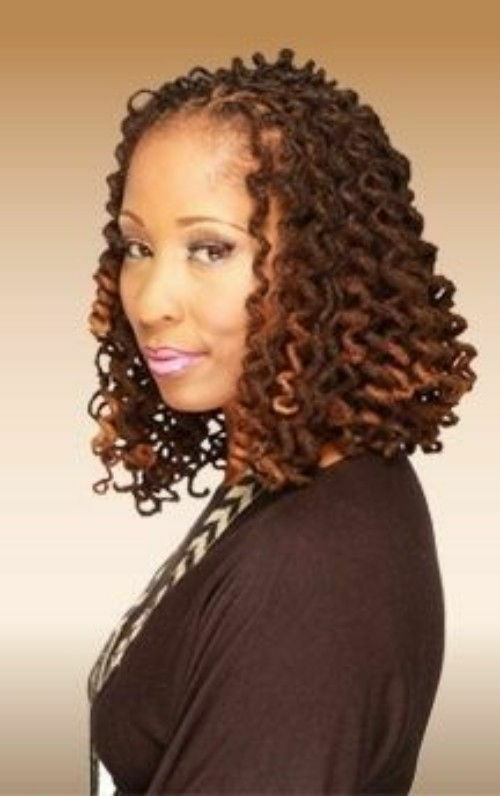 The faux locks are synthetic locks which are made with artificial ingredients. 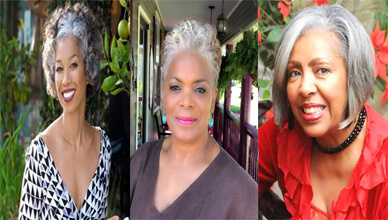 These hairstyles are mostly designed and developed by for the African American black women, especially by the hairstyle industries. 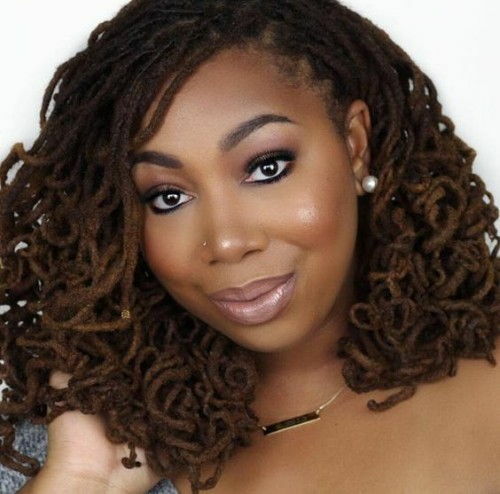 These locks are smooth and dazzling. Moreover, they are fit everywhere. 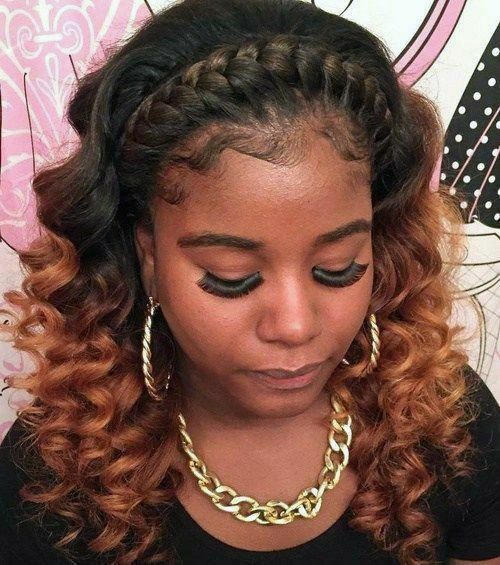 So in your quinceanera, you can use them without any hesitation. 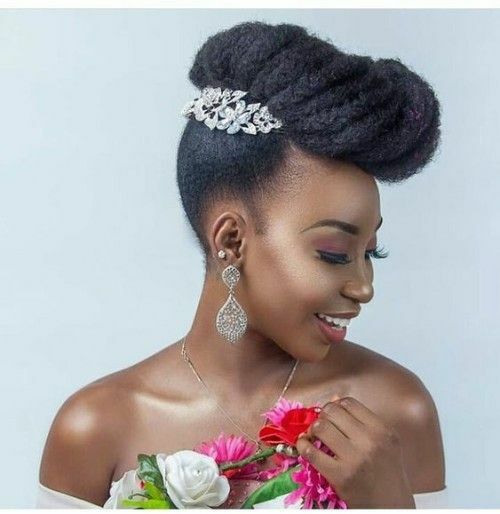 Now look at the images below, we have managed to collect some of the best faux locks hairstyles for the quinceanera for you. Pick one and get an appearance like a heavenly angel. 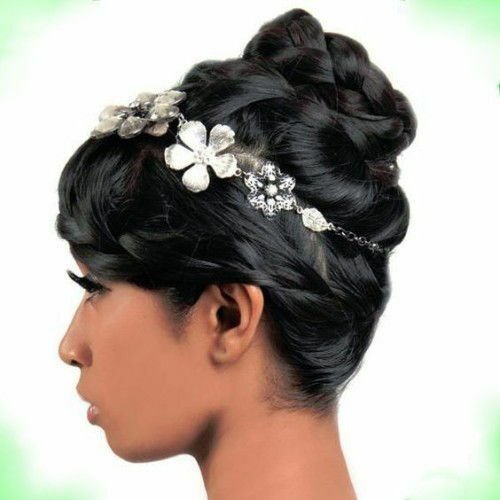 Updo hairstyles are also one of the most used hairstyles in black quinceanera just like the bun hairstyles. 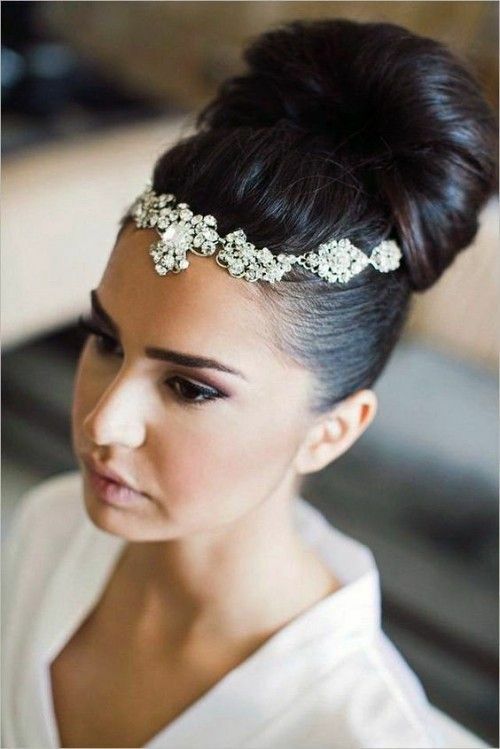 The updo hairstyles create some perpetual enchantment and charm in your hairstyle and appearance during the occasion. 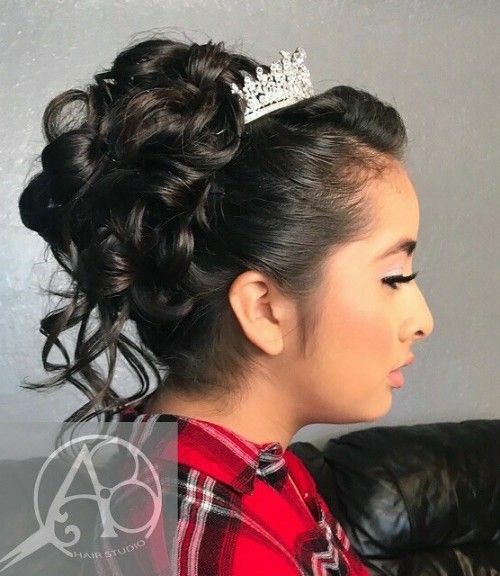 Moreover, the updo hairstyles keep you fresh and help you get rid of bushy and heavy hairstyles during the quinceanera event. 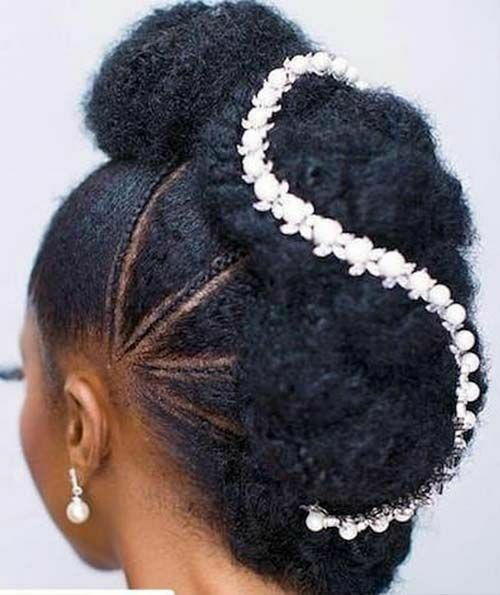 The updo hairstyles are decorated with a number of accessories like beads, crowns, etc. 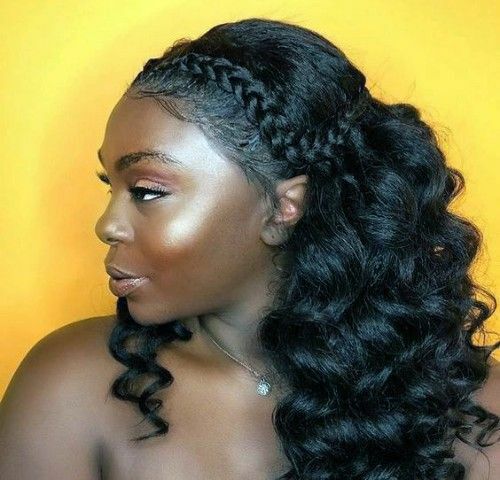 The below hairstyles will give you a better idea about that. 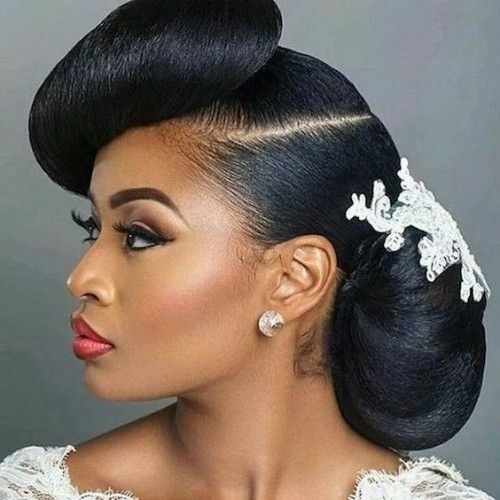 Pin curl updos are another updo hairstyle where the updo hair is curled. 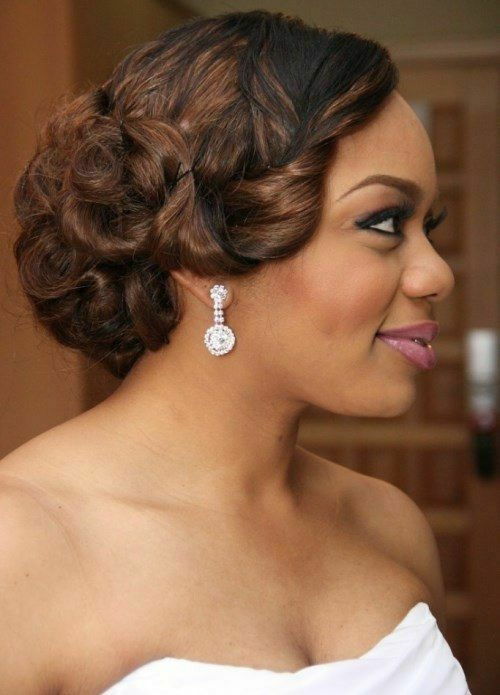 Pin curl updo hairstyles are much popular for wedding, birthday and quinceanera hairstyles. 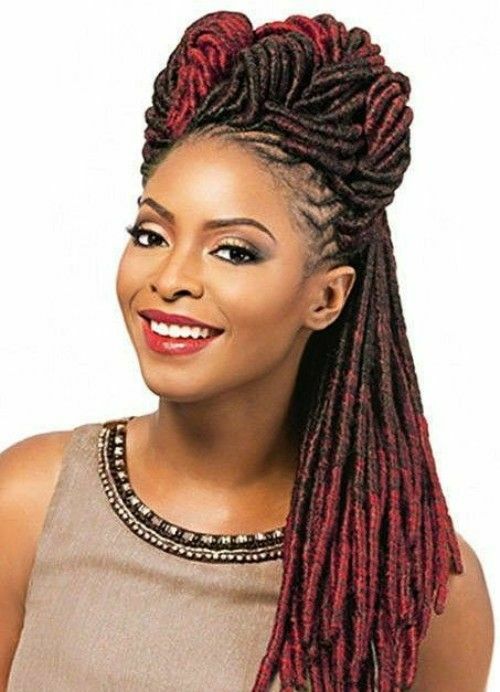 These hairstyles will bring eternal charm to your hairstyle and appearance at the same time. 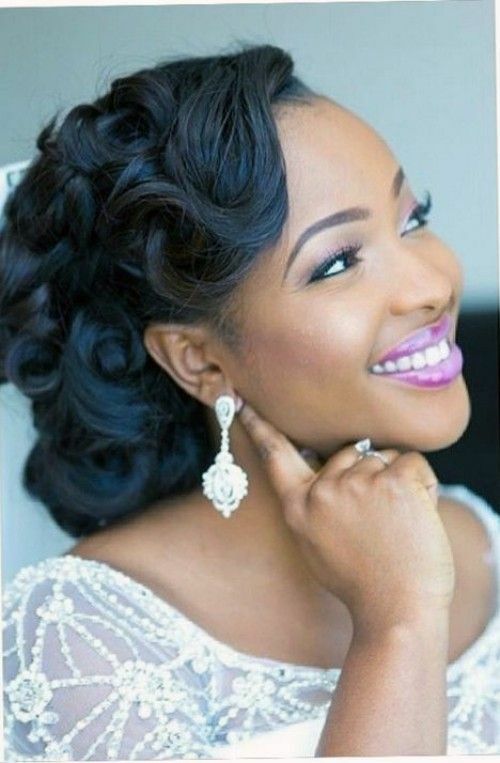 The guest of the occasion will fall in love with your hairstyle. 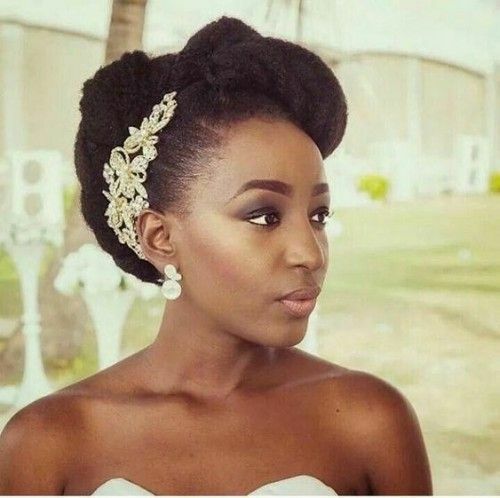 And for you, we have managed to collect these five extraordinary pin curl updo hairstyles for your upcoming quinceanera. 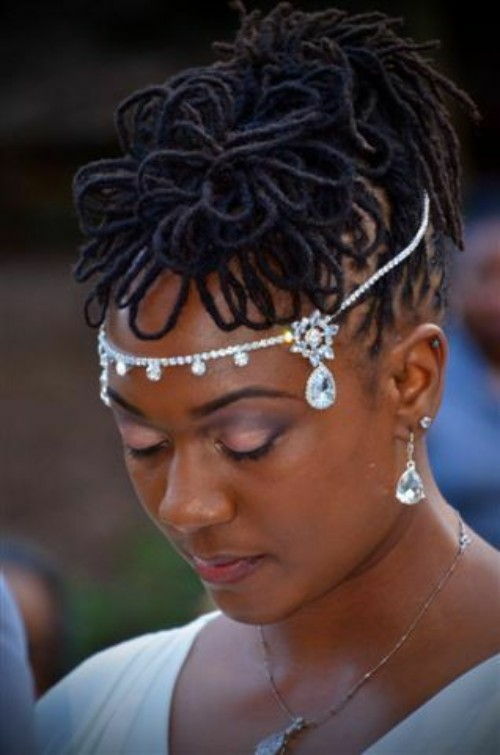 Dreadlocks can be a great option for your quinceanera too. 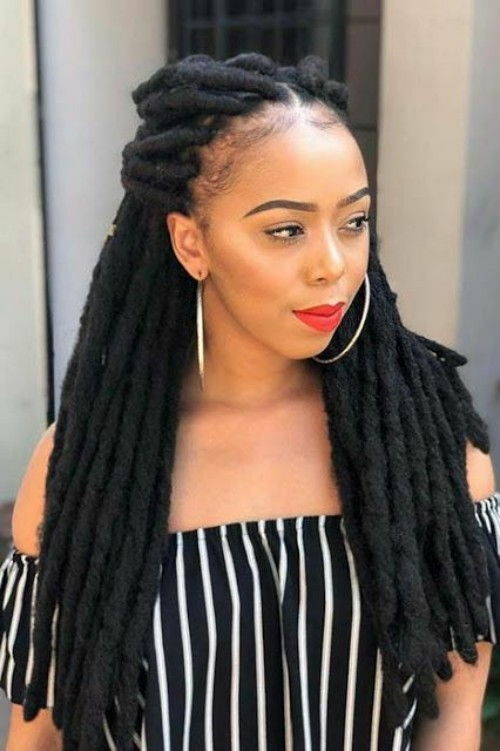 The dreadlocks make you look classic and beautiful at the same time. 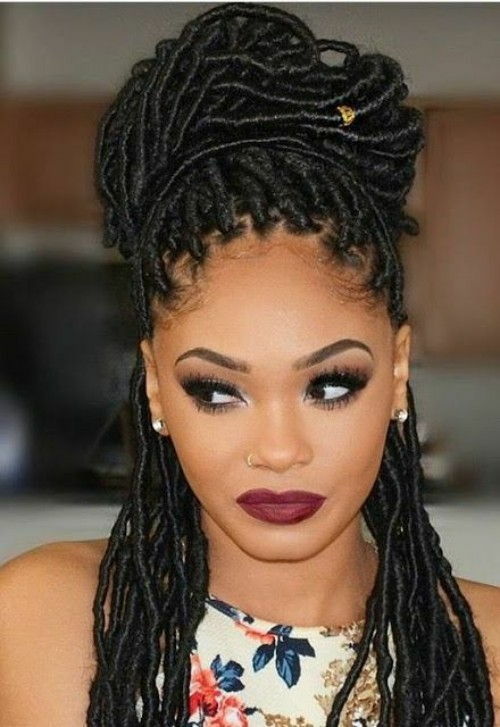 In some dynasty, the dreadlocks are used in quinceanera as tradition. 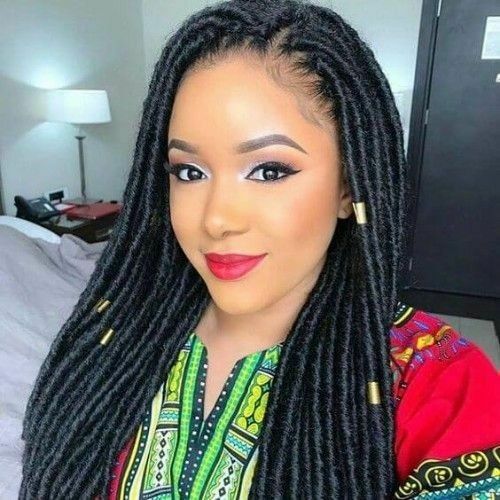 But you can not just use any type of dreadlocks styles in that event, there are some specially designed dreadlocks hairstyles for the quinceanera of the black young women. And we have presented them for you below. All you have to is to pick the best one for you. 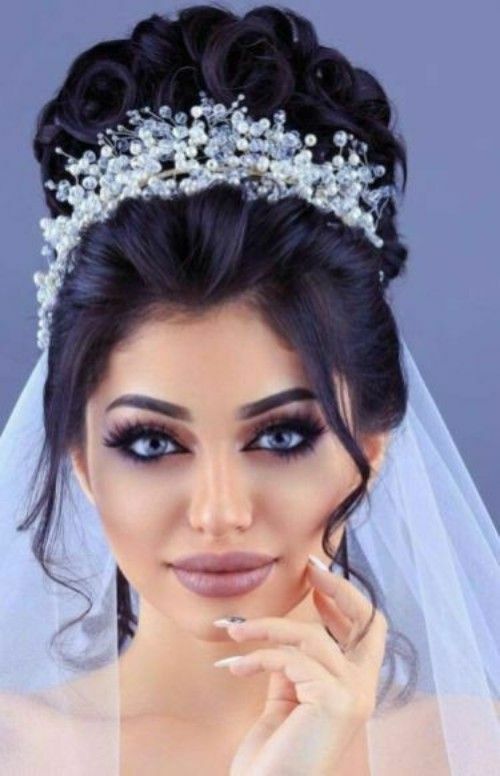 Here are some more for your quinceanera. 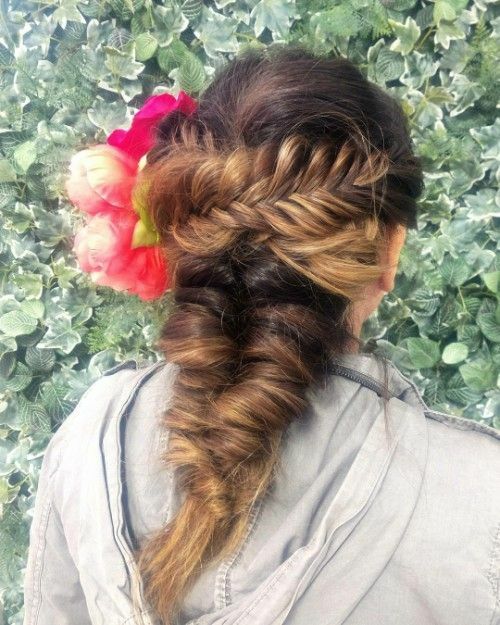 These hairstyles are also used widely in black quinceanera. So, the decision is yours. We are done for today. But you are not done yet. You have to pick the best one from the displayed images according to your preference, face shape, eye color, and different variables. And do not forget to let us know about your experience with your quinceanera. Happy quinceanera. Thank you.